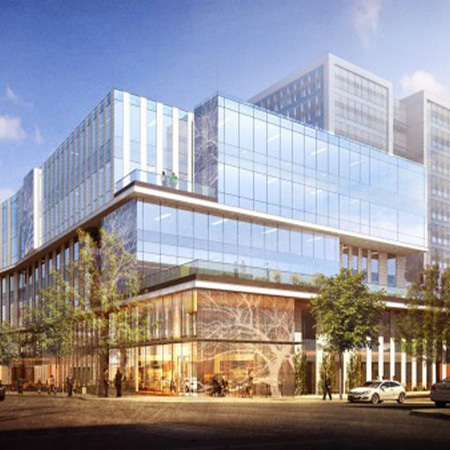 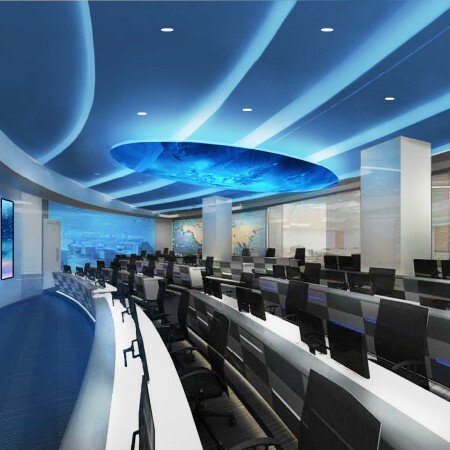 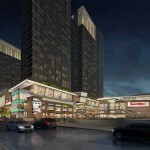 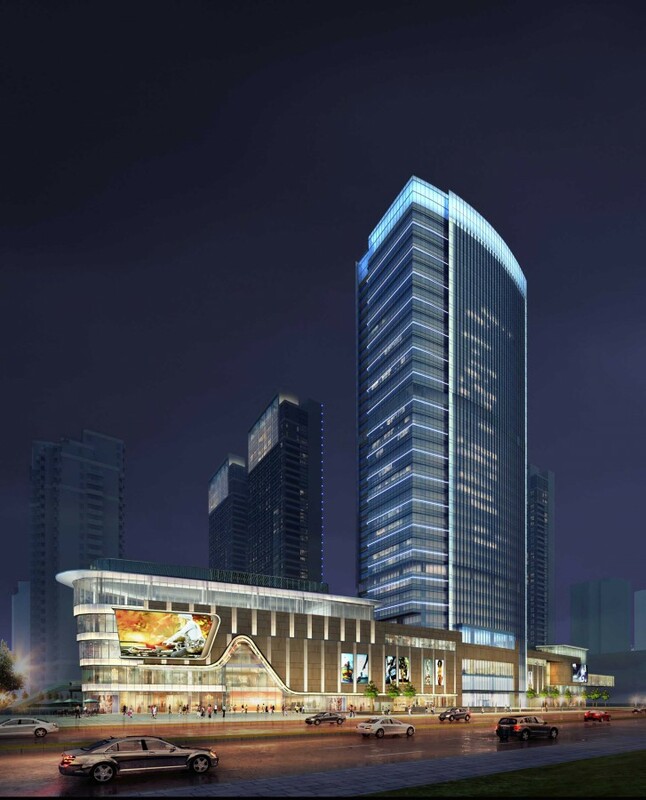 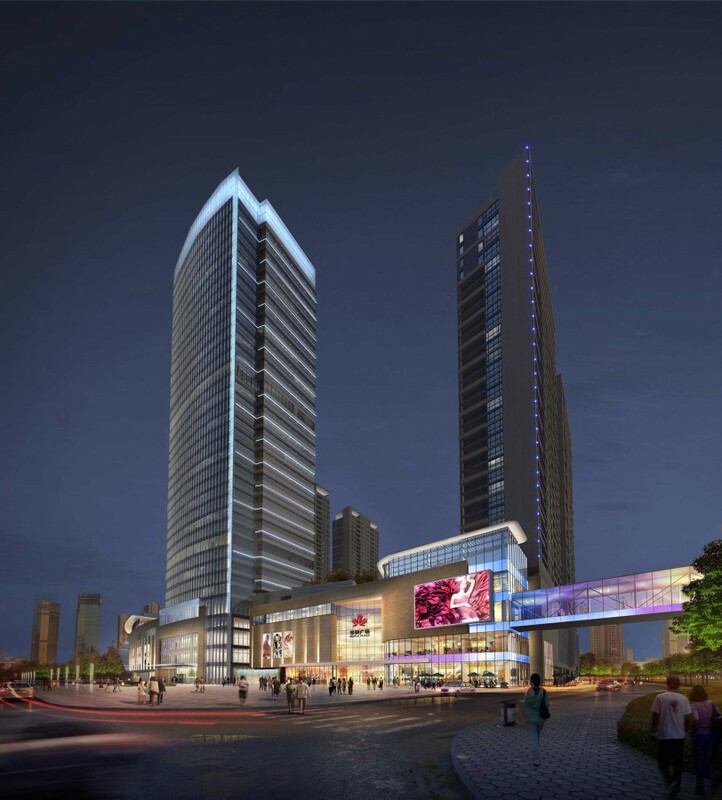 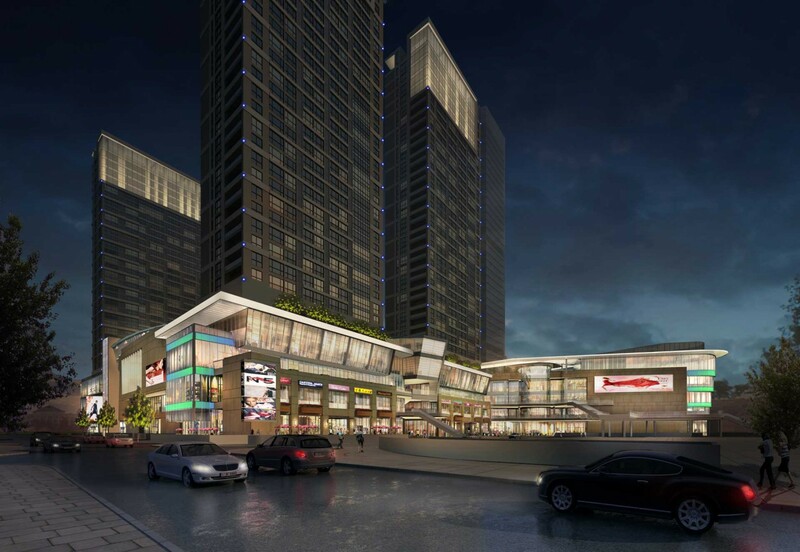 For this 364,000 sm (3,918,000 sft) mixed-use project in Nanjing, China, distinct lighting strategies were designed specifically for each function zone. 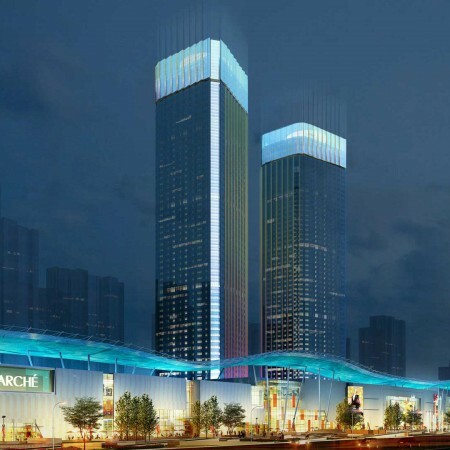 An illuminated crown and integrated spandrel lighting accents the height of the 160m (525 ft) office tower and provides long-distance visibility while setting it apart from other tall structures. 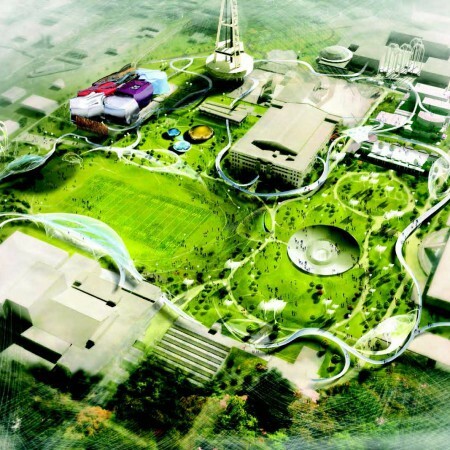 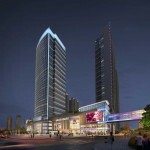 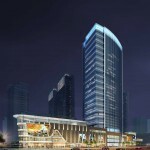 The project will be a new landmark of the City and a significant feature of Nanjing’s skyline.